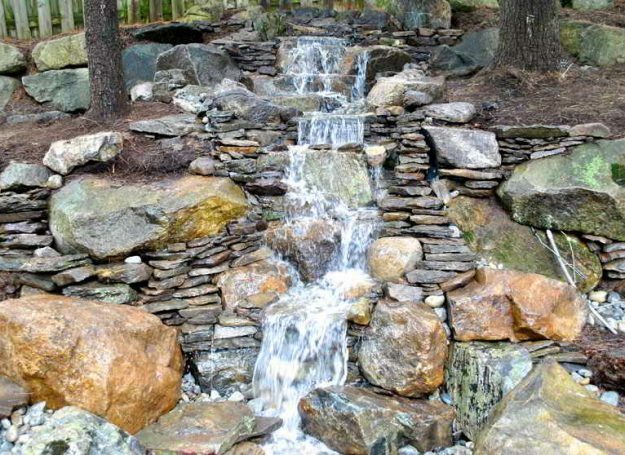 Water features are the hottest trend within the landscape industry. 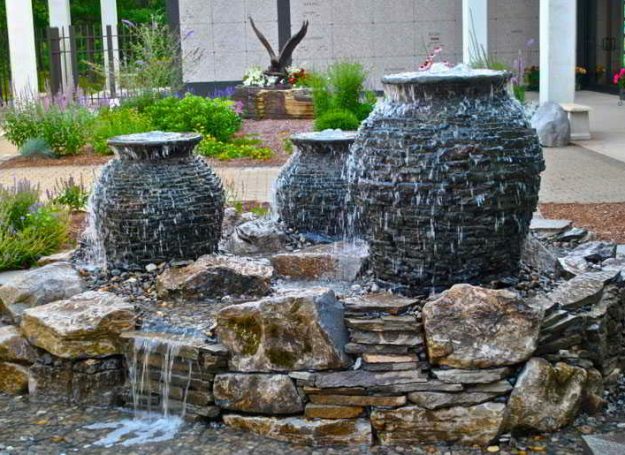 A professionally designed and installed water feature will become the center of attraction in the landscape of your home or business. 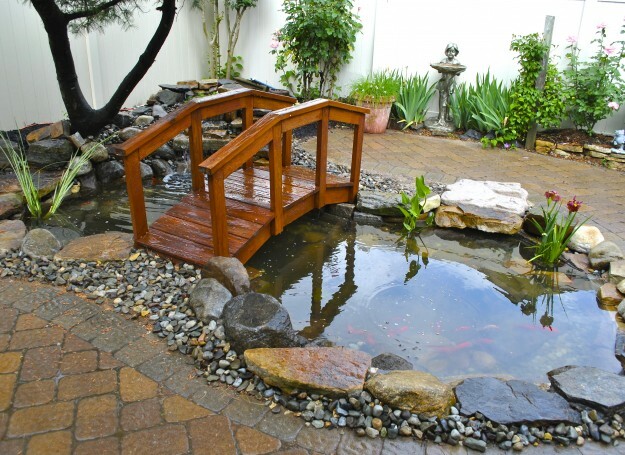 Join those who have made their property “water front” with the installation of a koi pond, water garden, waterfall, or any other numerous options of water features. They say everybody wants a pond, they just don’t know it yet. With the new awareness of personal water features showing up on TV and social media the bar has been raised on the designs that can be created and the ease of maintenance. 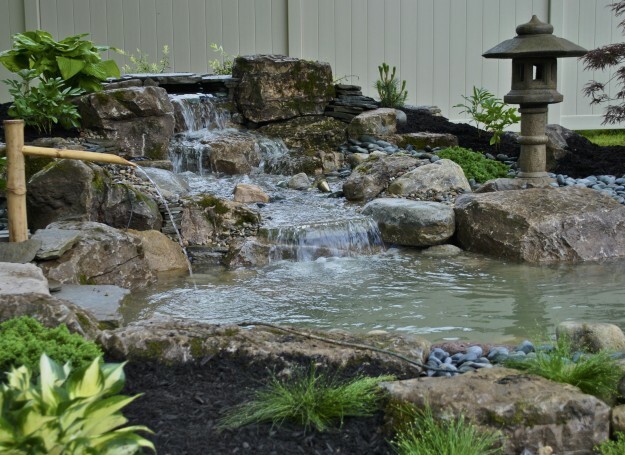 Full Service Aquatics has helped to lead the way in bringing the professionally installed water feature a reality to homeowners and businesses in the New Jersey area. Let Full Service Aquatics create that backyard get away oasis just a few steps from your own door. Call Full Service Aquatics today for your professional water feature consultation, and let’s make your dreams a reality together. 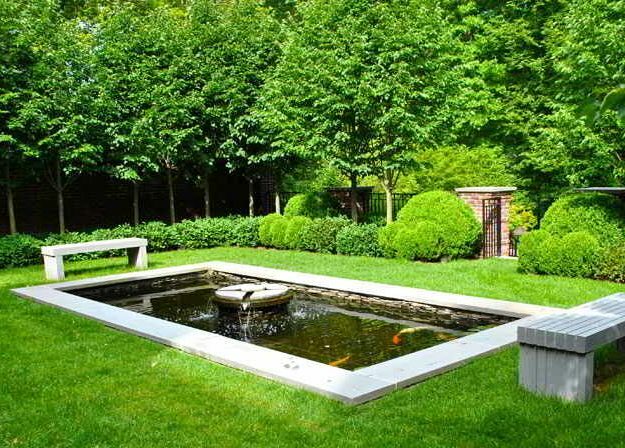 We started in water garden and pond services in 1995 and have since become the leading water garden pond installer in the New Jersey area. 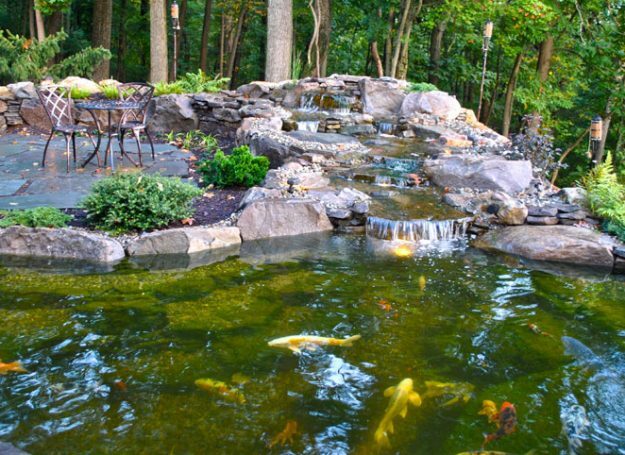 Our pond and water garden designs provide a unique atmosphere to any outdoor living area. 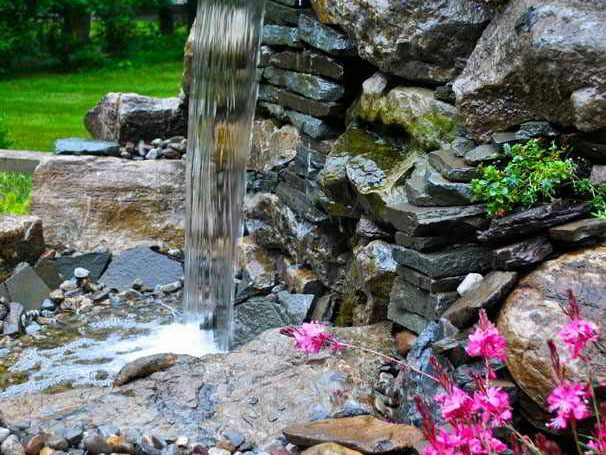 Allow our water feature design consultants to install a professional water feature for your backyard or business. 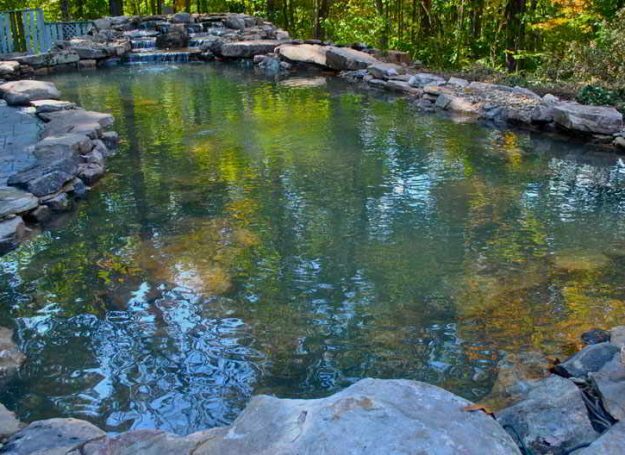 We have several pond and waterfall packages from which to choose, and we customize any project.